The guesthouse is a 5-minute walk to Phousi Mountain. 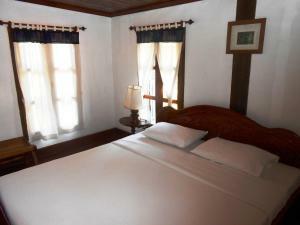 It is a 20-minute drive from Luang Prabang Airport. Rooms are fitted with wooden flooring and come with a TV. Hot shower facilities are included in an en suite bathroom. Some rooms come with a shared balcony. Guests can find local dining outlets within a 2-minute walk from the guesthouse.